It’s that time of year when we start to freshen up, emerge from winter hibernation, and embrace the flavors and seasonality of spring. 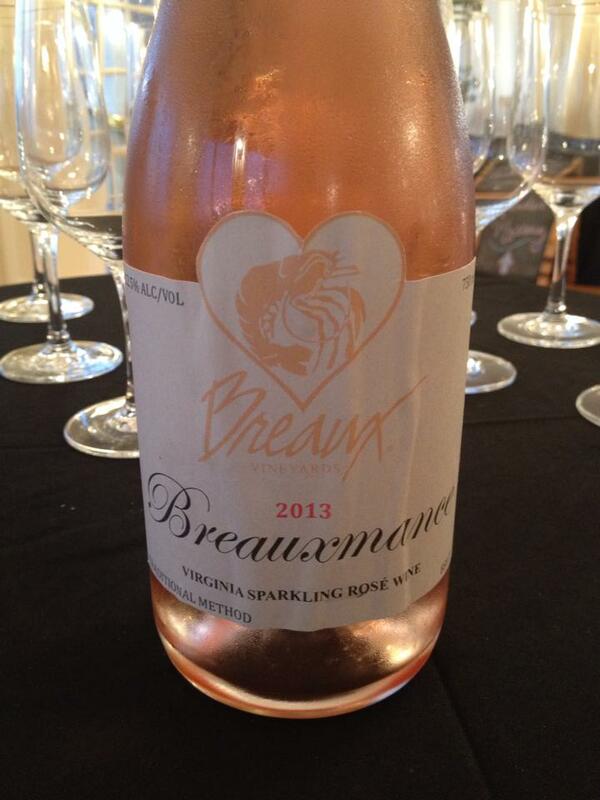 Right on cue, Breaux Vineyards has released their very first bubbly, cleverly dubbed Breauxmance. A beautiful salmon hue, Breauxmance is made from 99% Vidal Blanc and 1% Chambourcin to provide a dash of color. Like all of Breaux’s wines, this one is made entirely from estate-grown grapes, and the bubbly was hand riddled onsite. This sparkler is spring in a bottle; delicate and romantic, with nice acidity and perlage. It deserves a full-flavored counterpart that will challenge it and show it off. For that, I give you Devils on Horseback. Deliciously decadent, these babies pack a salty-sweet flavor that will allow the acid in Breaumance to slice through. Why not have yourself a little Breauxmance this spring?